I want to thank all of you for serving our country. Truly a noble cause. As a veteran who has served in the Navy for 46 years, including three combat tours, I think I know something about the military, and in particular, the unique medical issues facing our veterans. I am presenting my military background on this website, hoping you will see how involved I was in military health issues. Now that we are no longer serving our country in uniform, I still want to serve you, the American Veteran who made our country strong and free. As a family man and a life member of DAV I understand the hardships of serving. Again, thank you for your service, welcome back, and God Bless America. Captain Benjamin G. Newman is a native of Philadelphia, Pennsylvania and was commissioned in 1962 through the ENSIGN 1915 program. He had the unique and distinct privilege of being the senior Captain, regardless of designator, currently on active duty in the United States Navy. His military career has spanned 44 years and is highlighted by many exceptional events ranging from clinical management to combat operations. Following graduation from the University of Cincinnati College of Medicine and completion of his internship, he reported to Destroyer Squadron TWO as the staff medical officer. Deploying to South Vietnam, he was further ordered to Dong Ha, Republic of South Vietnam serving with the 3rd Marine Division. One of his most memorable early experiences was serving in a SAR Air Crew off the coast of North Vietnam rescuing downed pilots. After completion of his initial active duty obligation, he was affiliated with the Naval Reserve. Assignments in the reserve component included Command of the 4th Medical Battalion, 4th FSSG. He returned to active duty during operations DESERT SHIELD/DESERT STORM as the ll Marine Expeditionary Force (MEF) Surgeon. During this tour he served in the combat zone and after hostilities was integral to medical support in Kuwait and Saudi Arabia. He elected to remain on active duty after the initial Gulf War conflict and was assigned as the Senior Medical Officer at Naval Security Group Activity, Winter Harbor, Maine. He returned to sea duty in USS BATAAN (LHD 5) where he served as the Senior Medical Officer and led the team that twice earned the Medical Excellence award and two selections as the COMPHIBGRU 2 Battle "E" winner. 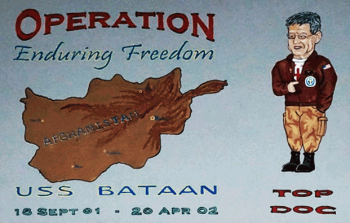 Six hours after the September 11, 2001 terrorist attack, the BATAAN's crew was deployed with 26 Marine Expeditionary Unit (MEU) to Afghanistan. During this deployment Captain Newman was in charge of the medical team that, for the first time since the Vietnam conflict, treated combat injured personnel who were medically evacuated to a Navy ship from the battlefield. The Commander, Second Fleet/ Striking Fleet Atlantic requested Captain Newman to join his staff as the Fleet Surgeon. 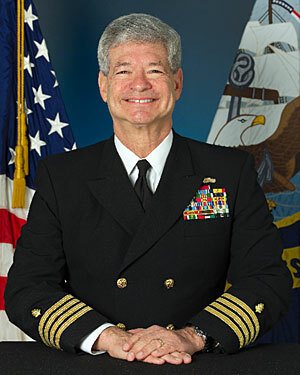 During this tour, he was integral to the development of unique NATO procedures and processes as well as implementation of the U.S. Navy Fleet Response Plan and support to the Global War on Terror. Following his assignment to C2F, Captain Newman served as the Operational Force Liaison Officer and Special Assistant to Commander Naval Medical Center Portsmouth. Dr. Newman served his final assignment with OPNAV N1 as the Combat Causality Care Medical Officer while stationed at the Pentagon. Captain Newman's personal awards include the Legion of Merit, the Meritorious Service Medal, the Combat Action Ribbon, Joint Achievement Medal and dozens of unit and campaign awards. He is Board Certified by the American Board of Family Practice, and holds a Commercial Fixed-Wing and Helicopter rating. CAPTAIN Newman retired from the Navy, May 2008.